On 15 April, our federal income taxes came due. Yes, I made the deadline that afternoon, but only in the morning after I’d played “Taps” for the 100th time. 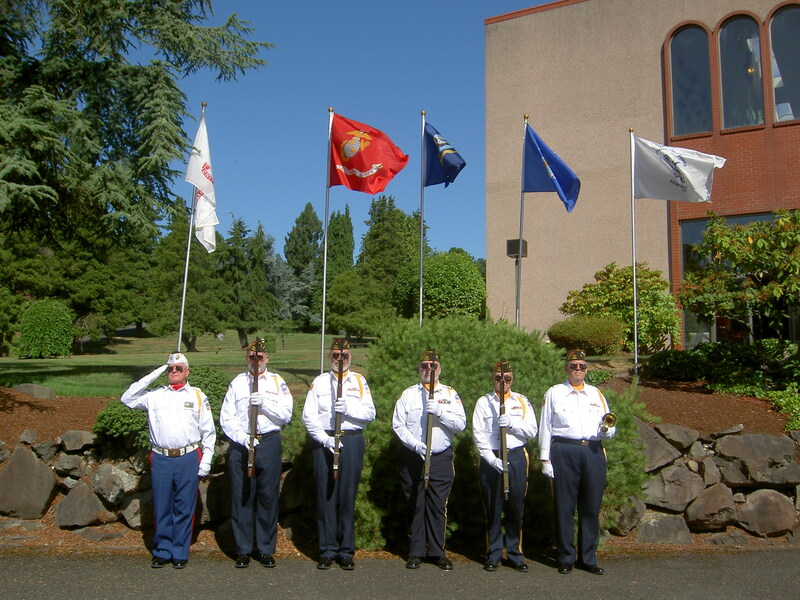 Yes, I realize other buglers have sounded this call literally thousands of times, but I’m very glad to have done my little part for our veterans as bugler for VFW Post 1040 of Lynnwood. On this occasion, the Post’s Honor Guard performed the flag ceremony with the Washington Army National Guard at Acacia Cemetery in Lake City as part of WAARNG’s Veterans Memorial Tribute Program (for more information on VMTP, please see my post of 5 January 2012). Jointly, we do this ceremony at Acacia, Evergreen-Washelli Cemetery in Seattle, and Edmonds Cemetery every month. This entry was posted on June 4, 2014 at 6:08 am	and is filed under Ceremonies & Celebrations. Tagged: 1040, Acacia, bugler, cemetery, Edmonds, Evergreen Washelli, Taps, Veterans Memorial Tribute Program, VFW, VMTP. You can follow any responses to this entry through the RSS 2.0 feed. You can leave a response, or trackback from your own site. Thank you, Tarnya. You and your family were with our Honor Guard at a similar memorial ceremony on 6 May at Veterans Cemetery, Evergreen-Washelli, Seattle, so you know how it goes. And I love your comment!